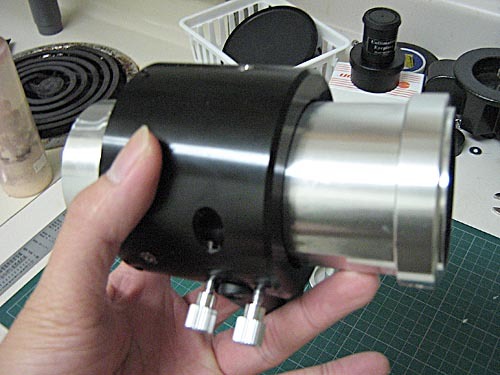 If you are still using those Chinese-made telescopes you probably know their built-in rack-n-pinion focusers are driving you nuts. I sometimes call these things "toy from hell." 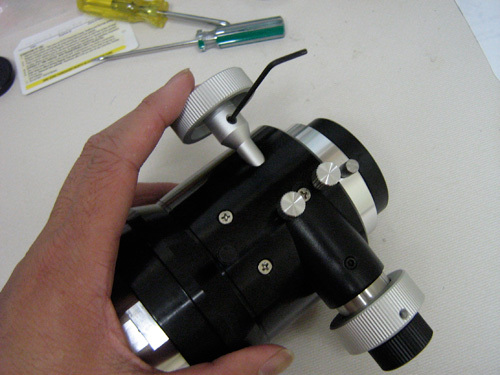 It's been a while we have been seeing some crayford focusers upgrade from GSO (Guang Sheng Optical) in Taiwan. These focusers aren't in the same league as Feather Touch or Moonlite. However, they still offer really good performance without breaking your bank. Problem with the GSO crayfords is that sometimes they do feel rough. Good news is there're ways to fix this little fella to make your scoping experience even more enjoyable. This tutorial here covers the dual-speed GSO-based crayford. 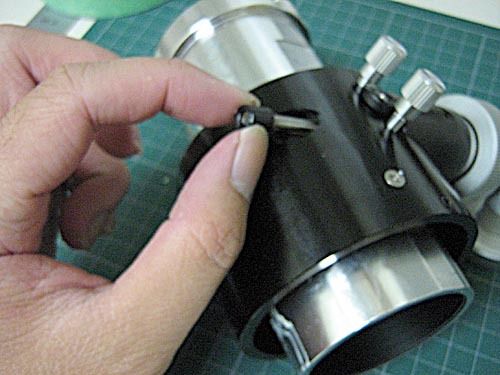 It may not be 100% working for other crayfords like those made by Long Perng since the structure (ways to break them apart and put together) of their focuser is slightly different. 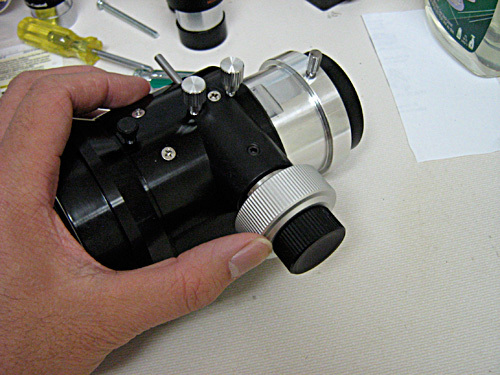 Scopes that use Long Perng mechanics are Astro-Tech (66 & 80mm refractors), Stellarvue (Nighthawk Next Generation & SV102ED), Skywatcher (Equinox Series). You will have to let me know. 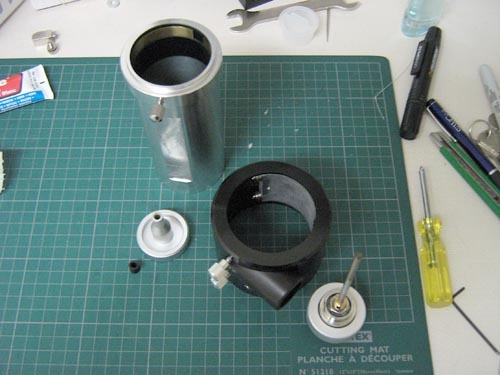 Once I get enough request I will make another guide for that type of focusers. Here's a typical GSO-made dual-speed crayford. 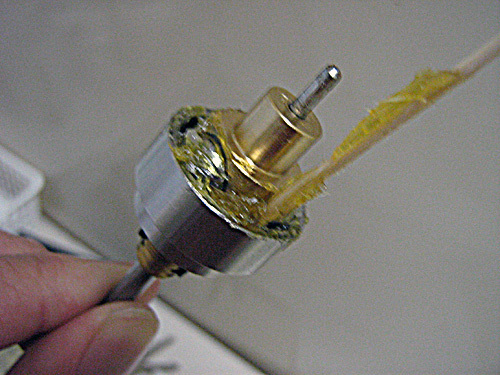 Make sure you are not mixing up with its tension and locking thumb screws. 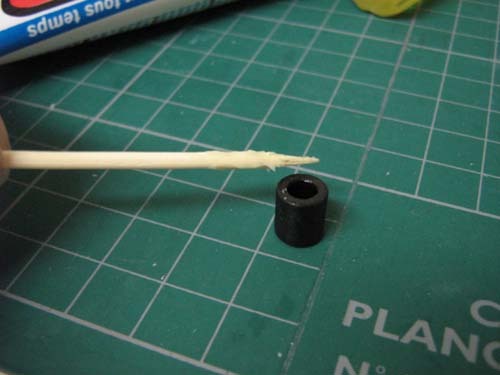 First, loosen up the TENSION thumb screw, or even take it off if you wish. 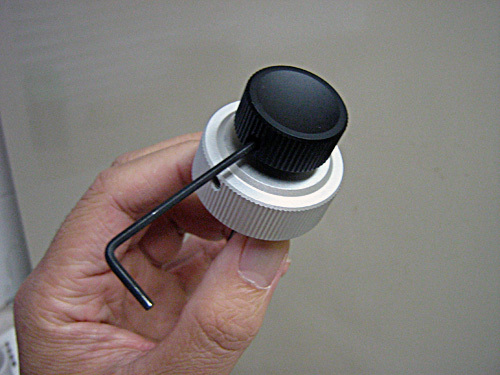 Take the focus knob (at left) first, you need an allen key to do the job. 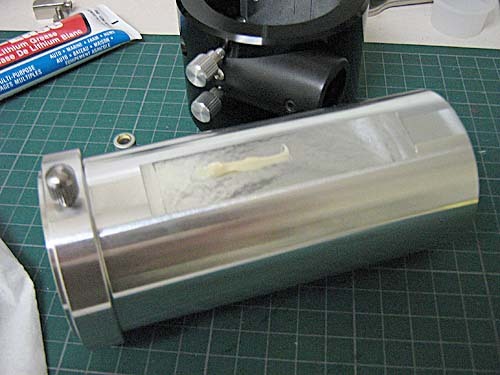 Then pull the shaft out from the other side. 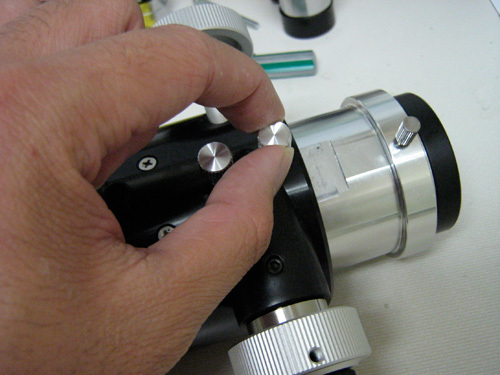 After the shaft is pulled from the focuser the draw tube will come out very easily. 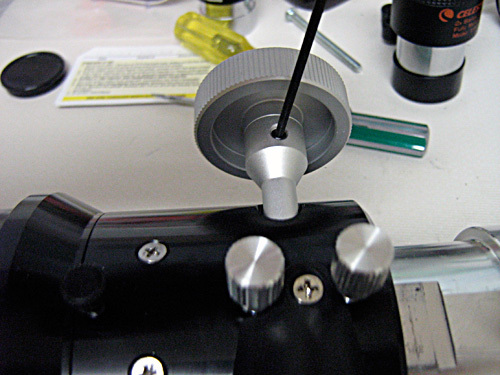 Many people who own a scope with Synta's crayford have to use a grinding stone to flatten and smoothen the "flat" curvy suface of its drawtube. Good news is, no grinding stone is needed for GSO crayfords since it's flat surface is flat enough for doing a decent job. 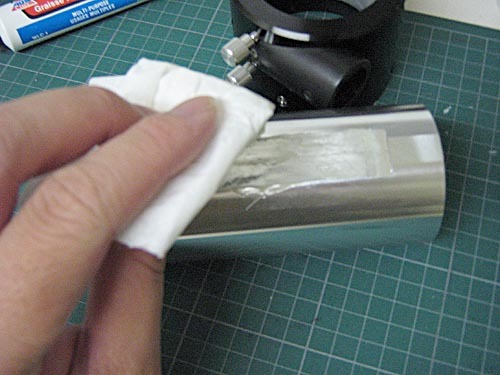 You still can make it smoother by using some car polish wax (cutting wax is recommended). Apply a bit of wax and wipe it off once it's dried. You should then feel it's very slippery. Yes, this is what you will want. 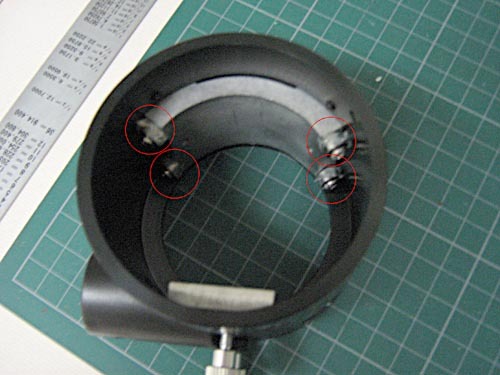 Now look at the inside of the focuser's main body, The 4 wheels (circled in red) are holding the draw tube in place. Apply a small amount of grease on all of them. 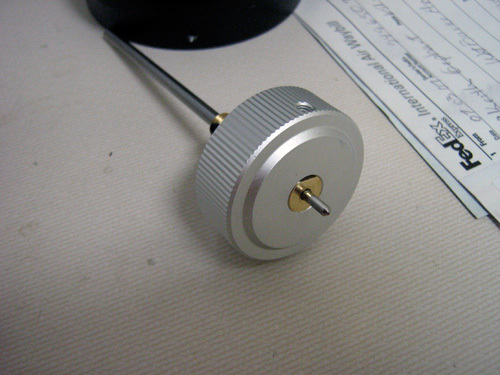 Now here comes the exciting part - The dual-speed knob! 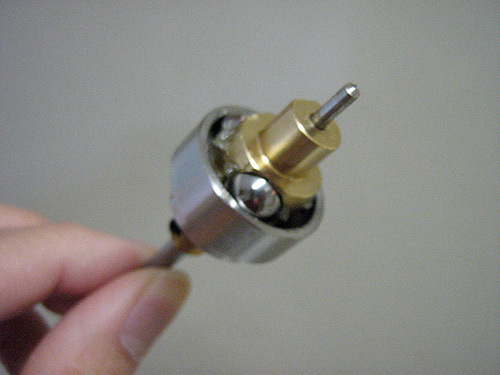 Here's the internal guts of the dual-speed knob. You see three steel balls sit inside the brass bracket. Here's the other side of the knob. 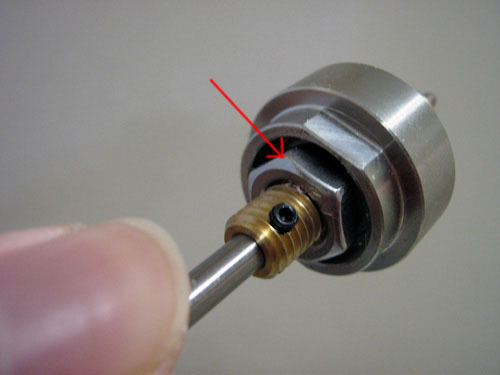 The steel nut (which the red arrow is pointing) is very important, don't mess with it yet. This is one of the major reasons why some GSO crayfords are so rough or tight. ......put some grease here!!!!!! Don't put too much. Then roll the brass bracket to make sure the grease is evenly applied. The next thing to do is to loosen up the nut on the other side of the knob. Loosen it up VERY LITTLE. Be careful with this. 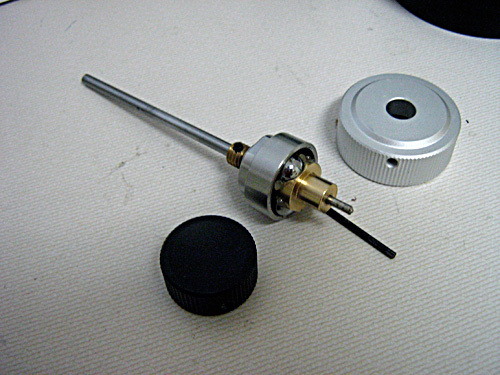 If it's too loose the fine focus knob will not work or the brass bracket or even the little pin that holds the fine focus knob will come out. If too tight the knob will not turn at all. Now put the big knob back in. If you turn the knob you will find it very "clicky"
A friend of mine told me the fine focus knob on all Feather Touch focusers is made by heavy brass and this is the reason why the turn is so smooth. I can't really confirm this but I think it's interesting enough for me to mention it here. 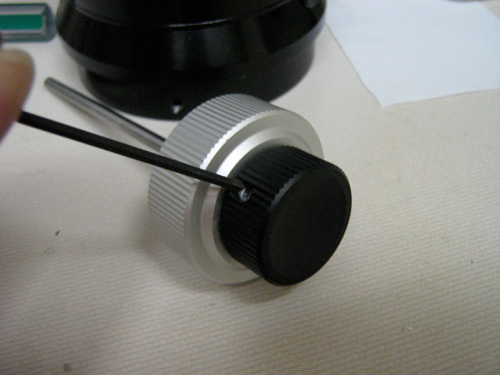 You can make a few turns on both the big and small knobs to see if they are at your liking or not. 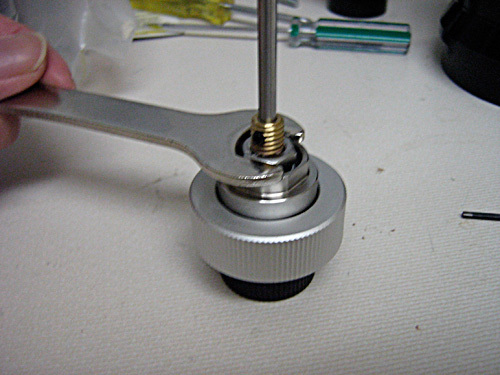 If the feel isn't making you too happy you may adjust the tension by turning the nut on the other side. You may have to make a few tries to get to the feel you want. Again, make sure it's neither too tight nor too loose. This is a small part but don't miss it. 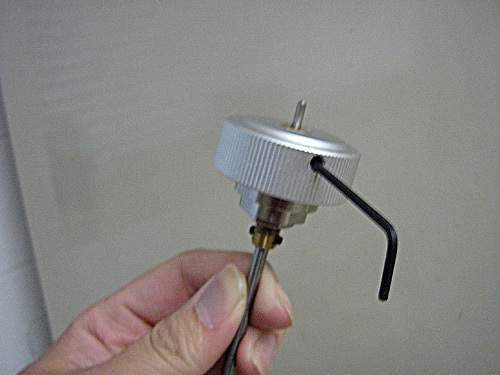 Apply a bit of grease on that plastic tube thing (that sits belong the other focus knob), then put it back to the shaft. Doing this is to minimize as much friction as possible. 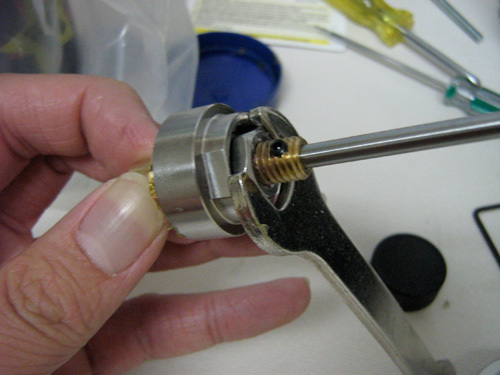 Put everything back together, and adjust the tension by turning the tension thumbscrew. And that's it! 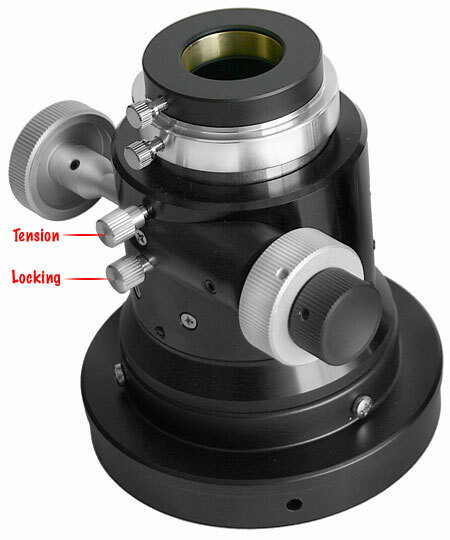 Keep in mind that this will NOT turn the focuser into Feather Touch but at least it will give these GSO-based focusers a fair chance to perform the way they should be. You may not get it right at first but once you get the idea behind this you later will have much better chance to get what you expect.